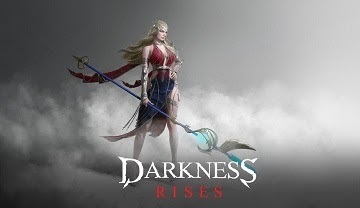 Here'a a skill build and combo patterns for players playing Wizard class in Darkness Rises, a hack and slash action adventure Android and iOS mobile game. 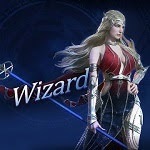 Wizards - A powerful mage who uses an enchanted staff to cast spells, Commands the elements, excelling at ranged combat. *Web Trap (Half): Targets can flee by dashing out of the Web Trap, even after a stun. - Low base damage output but this is our key skill for our DPS type Wizard! 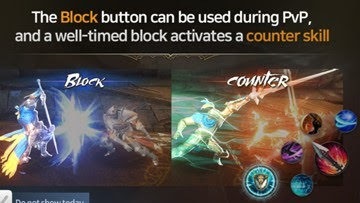 It's short cool-down will allow us to use combo skills every 7~10 seconds (depends on upgrades), increasing the skill's DPS potential! - Lightning Grip's range is pretty good! Use this as your Initiator Skill to connect your nukes and stun skills. 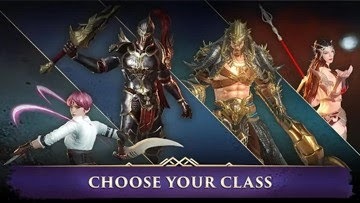 - Learn how to use and connect your Lightning Grip, anticipate enemy movements, and bait attacks to open up opportunities. 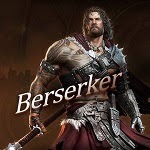 - Easier against non moving foes like other Wizards who likes to spam auto attacks. - Lightning Grip can also be used right after the enemy dashes or use any skill, just time it well. - Note: Do not spam all 3 skills below, just alternately use Judgement Flash and Scatterspell, together with Lightning Grip. Unless you need 1 more skill to get the win. - As much as possible do not go for "spam skills match" because Wizards have lower base Defense and HP stats, just dash away and attack them instead from a ranged position. - Judgement Flash is a long in-line AoE skill, perfect with Lightning Grip. Do a quick AA if enemy is pinned to the wall and while in the air. - After this combo, wait for your Lightning Grip to cool-down, then use the next combo below. - Scatterspell is your stun skill and also works great with Lightning Grip, best done at mid range to sink in fast. Once stunned, go and spam your Auto Attacks! - Note: In case the enemy learned your pattern, mix in your Scatterspell with AAs. - If your Judgement Flash is also available, use it while the enemy is stunned for even more damage! - After this combo, wait again for cool-downs and use combo 1 above. 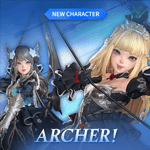 - The best thing about this skill build is that, it is so much easier to connect. Overall DPS is also great, including all those AAs that you can do. 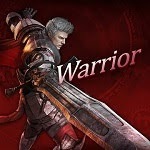 - Use AAs after dodging an attack, best done against enemies using long skill animations. 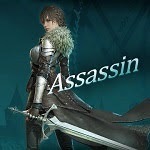 - Use AAs if you are sure that your enemy's long ranged skills are in cool-down. - Use AAs if the enemy is stunned. 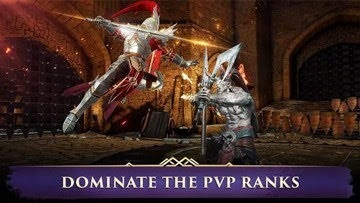 - Do not spam AAs if they are using Block, they are trying to get the timing to Counter you, but use this chance to bait their block, and use your Lightning Grip, those last hits will sometimes connect. - Do not use AAs if you know they still have a long ranged skill (especially those dashing/stun skills), dodge or block them first. - Arcane Orb is a possible substitute for Scatterspell, but it's slow animation will give your enemy a chance to flee or use Block. - Pulverizing Wave can also sub Scatterspell, but sometimes it's range isn't long enough to connect 100%, especially when the target is a bit far. Moving forward will let your enemy dash away. - Wizard's 3rd Auto Attack can push and "ring out" enemies near those edges. - For Wizards, you don't want to stand too long chaining your skills, because you are an easy target, and also squishy. So the best method for playing this skill build during Team PVP is to go all out and spam them once they are available! - These skills have great in-line range and AoE, very ideal for Wizards. The best way to use them is to target enemies that are about to use their skills, this way you can get better accuracy. Support your teammates from a distance by attacking enemies that are attacking them! - Combo: Lightning Grip > Judgement Flash > Arcane Orb (or any way you like). - Good DPS, cool-down, and AoE range, you can safely use this skill even if you have low health, also nice against chasers. The only drawback is that, it is slow but still very good. - Use it as a cover while diving into clashes, and also for clearing enemies near the Ultimate Orb spawn point. - Do not waste your skills chasing someone because your skills aren't built for it, unless of course they are running directly towards you for easy targeting, or if you have good anticipation skills (use Arcane Orb). - This is also an excellent alternative to Arcane Orb, just remember to move a bit forward after using Lightning Grip to connect your Pulverizing Wave, because it might fall short if the target is a bit far. - Can also replace Lightning Grip if you like. - Still a good skill for this build, but the problem is, it will significantly lower your overall DPS. - Ok for "Ring Out" plays: Stun > Lightning Grip or Judgement Flash. - I did not mention them all because some of them are hard to execute or use with other skills, the risk isn't worth it because you need to use them almost at melee range, or they are more effective against weaker opponents. 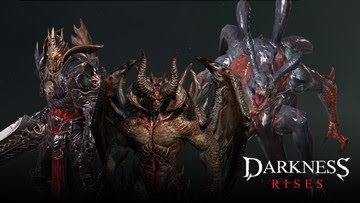 - These 2 alone can give a nice DPS with extra Def Reduction debuff, they almost have the same cool-down so they can also go hand in hand (use them as your 2 Skills Combo). - Upgrade and max them both as you go. - What we just need now is a solo skill that we can use every time it is available. Depending on your preference or play style, pick any skill that you like at this point of the game. - Any skill will do but preferably, go with a skill that has high DPS rating (check skill list above for reference). DPS is one key and even better if the skill can also do more things like Debuffs, AoE range, Nuke potential, How easy to use, and more. - Note: Solo skill is your cast when ready skill, no combos needed unless you get the chance. - Upgrade and max as you go. - Even if you can only deal half of it's damage, this skill would still get a good overall DPS when paired with the 2 main skills above, even better if you can catch 2 or 3 enemies inside it. - These 3 skills when chained can go up to 925% of base damage output every 15~17 seconds, the best nuke in the game if you can sink all damages! - Web Trap requires that you have a good anticipation skills, like where the clash would be likely at and when will enemies chain their combos, these is where you can cast Web Trap at it's full potential. - One is to cast right before the Ulitmate Orb appears, most enemies will come and try to get it, use this as an opportunity to get damages and also secure the Orb. - Always run to your teammates, and cast it while enemies are doing combos (or about to). - Nice skill if you like "Ring Out" plays, getting this will give you a nice balanced build: High DPS, Nuke, Debuff, and Ring Out potential. You need to get closer though so be careful, use your teleport to sneak behind targets standing near those edges. - A mini version of your ice ultimate haha, but still good for grouped targets! - These are your spam skills, pick one and just use it whenever it is ready! - Pulverizing Wave together with the 2 main skills above can also dish out high damage output at 800% base damage every 15~17 seconds, an excellent nuke build, alternative for Web Trap. *If you trigger Poisonous Stranglehorn right away, Web Trap will not deal 100% of it's damage. Do some normal attacks first before triggering, but sometimes it would still auto trigger! - Upgrade Pulverizing Wave if used for Team PVP, cap it around Lvl 30~45 first (multiples of 3). - Judgement Flash is your main nuke skill, max it! - Only upgrade Meteor Flurry if you need more fire power for PVE (cap it first to 9~30, multiples of 3). If used for Team PVP, max it but cap it first to Lvl 30~45 (multiples of 3). - Upgrade Arcane Orb if used for Team PVP, but place a cap up to Lvl 30~45 first (multiples of 3) to save up SP for your Main Skills. - Max Scatterspell if used for Team PVP, otherwise just cap it first to Lvl 30~45 (multiples of 3). - Please note that this is not the only way to play Wizard, also try other skills as well since you can max them all in the end.